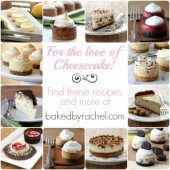 If you don’t know Robyn’s or her blog Add a Pinch, you should. She’s not only incredibly sweet and down to earth but she whips up amazing desserts and meals the entire family will enjoy. I love her talent for pulling you into stories that go along with her posts. I often find myself taken back to a childhood or moments in life that weren’t even mine, when reading Robyn’s blog! Hey y’all! 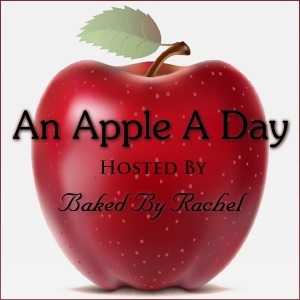 I’m so excited to be sharing a favorite apple recipe with y’all. 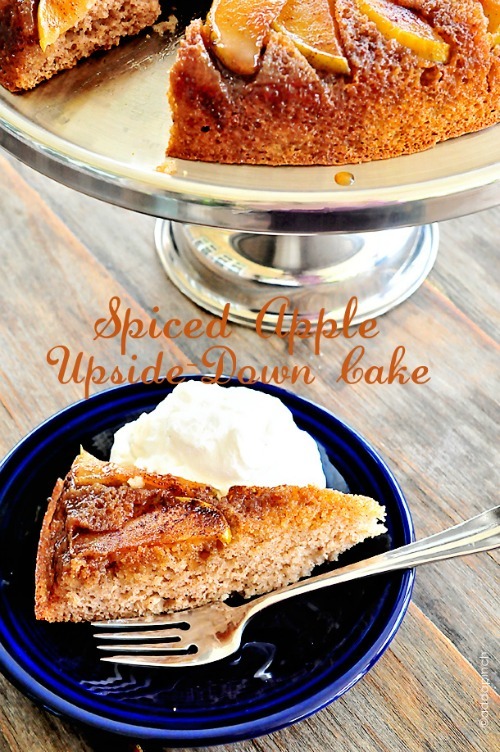 It is a Spiced Apple Upside-Down Cake that is as simple as can be to throw together, but everyone absolutely loves it. I’m not sure about you, but that’s definitely what I call a winning recipe. 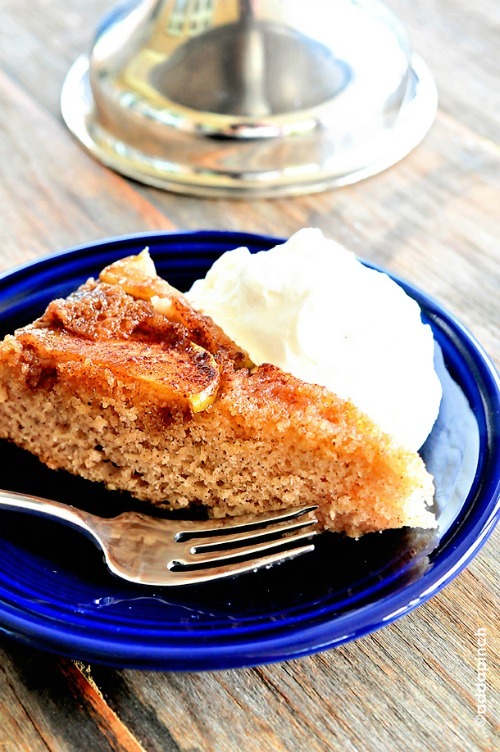 This cake is perfect warm on those cool crisp mornings for a quick breakfast, almost like a coffee cake, or in the evenings warmed up with a big dollop of whipped cream and a cup of spiced cider or another cup of coffee. You immediately smell the warm cinnamon and apples and then with every bite you taste rich, buttery caramel combined with the the cinnamon and apples! It’s like a slice of heaven on a plate! Another perk? It makes your kitchen smell divine. You really want to add this recipe to your fall must-make list. Pour 1/2 of melted butter into cast iron skillet or round cake pan. Swirl pan until bottom and sides are well-coated with butter to prevent cake from sticking. Sprinkle brown sugar evenly over the melted butter in the skillet or cake pan. Place apple slices on top of the brown sugar. In a separate bowl, combine buttermilk, the remainder of your melted butter, eggs, sugar, flour, baking soda, salt, and cinnamon. Pour evenly over the apples and brown sugar layer in the skillet or cake pan. Place in the oven and bake for approximately 45 minutes to 1 hour or until toothpick or skewer inserted in the center comes our clean. When ready to transfer, place cake stand on top of skillet then carefully flip to where the cake comes out onto the cake stand. You can find Robyn on Facebook, Twitter and Pinterest. 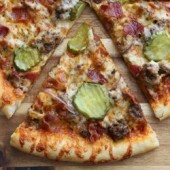 Check out more recipes from Robyn: Bacon vinaigrette, Southern caramel cake and Seven pepper steak salad. Any recipe that makes my kitchen smell divine is a winner! Love this one, Robyn! I can see the cinnamon flecked throughout this cake and can imagine how wonderful the house smells when baking, not too mention how delicious this tastes! 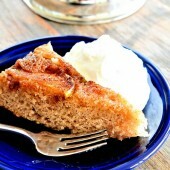 This looks like such a good treat for fall, simple and comforting! That dollop of whipped cream on the side is calling to me! I’m drooling! This looks fantastic. This is awesome! My mom was looking for a good apple recipe, and this sounds great! This looks wonderful! What size round cake pan? Two apples sliced thinly seems like a lot of apple for, say, an 8″ pan. Hi Emily – I checked with Robyn and she suggested using a 9″ pan or skillet. However, it may be adapted to fit just about any size. Enjoy! 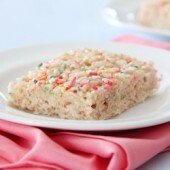 This is a simple and delicious cake. I served it for brunch this morning, and it was very well received. I used a 9″ pan, and it worked out great. Thanks so much!